Have you ever wondered how teenage siblings who are the best of friends one moment, can hate each other so intensely the next? Sibling rivalry is something that even the best of families will encounter at some point. Life is full of rivalry orcompetition and the teenage years are no exception. 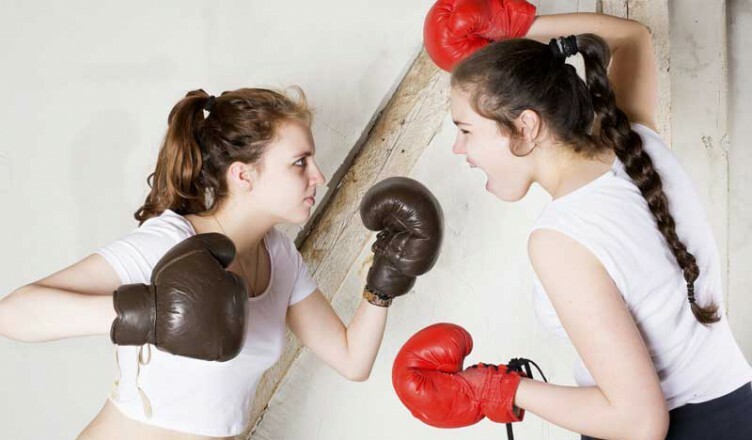 Although we hate to see our children fighting, sibling rivalry is a way for teenagers to learn appropriate behaviors for getting along with others. It gives them a chance to experiment with and deal with situations they may encounter with other people outside of their family. Of course, if rivalry gets physical it should be stopped immediately before any further harm is done. What are some reasons for sibling rivalry? One of the main reasons siblings fight is to get attention from their parents. It can be hard sharing parents with another brother and/or sister. They might feel that the other sibling receives more attention and that they have to act up in order to get any notice. Competing with each other for this attention can lead to many of arguments. Another popular reason for siblings to fight is jealousy. Feelings of jealousy can arise for a variety of reasons. Teens might be jealous over their siblings looks, talents, accomplishments or friends. They could be jealous over how much time their parents spend with another sibling. Other reasons and causes for sibling rivalry may include the following. Age difference – Siblings around the same age might have to share clothes or items. Older teens who have much younger siblings have to deal with being a role model. They might have to cope with the brother and/or sister following them around all the time and wanting to be like them. Birth order – This can effect the amount of attention the teen gets from parents. Firstborns, might be jealous of time that parents spend with the younger kids in the family. They might resent the fact that because they are older, they are expected to be more independent. Middle children might feel ignored, while the youngest one’s might feel excluded by older siblings. Having to share – This can include sharing materialistic items, such as clothes, rooms or personal belongings. If siblings are close in age they might have the same circle of friends. Sharing time with these friends might create competition. Feelings of favoritism – Teens might think that their parents like a sibling better than them or that they let them do things that they aren’t allowed to do as well. Space/Privacy – Fights can get started over being bothered by a sibling while wanting time alone to themselves. New baby – A new baby in the family might create all sorts of sibling rivalry. Competition for attention and time with parents can stir up many emotions and behaviors. Boredom – Teens that don’t have much else to do, might choose to pick a fight with a sibling for entertainment purposes. Outside stressors – Situations such as divorce, family illness, school problems and peer pressure can cause teens to be stressed. If teens don’t know how to handle their stress appropriately, they might end up taking it out on their siblings. Differences in interests/hobbies – Teens might argue over their likes/ dislikes and differences of opinions. No matter what reason your teens may have for sibling rivalry, it can be a hard situation to deal with as a parent. You feel like you are living in a war zone and are constantly wondering when and if it will ever stop. Rest assured, there are quite a few solutions that are helpful in preventing and dealing with sibling rivalry. Adele Faber and Elaine Mazlish, Siblings Without Rivalry: How to help your children live together so you can live too. New York: W.W. Norton & Company, Inc., 1987.